Ajani's Welcome ($0.29) Price History from major stores - Core Set 2019 - MTGPrice.com Values for Ebay, Amazon and hobby stores! 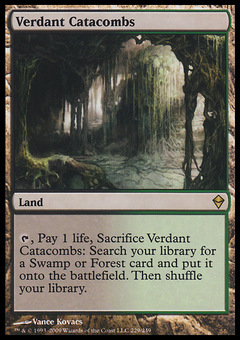 Card Text: Whenever a creature enters the battlefield under your control, you gain 1 life. 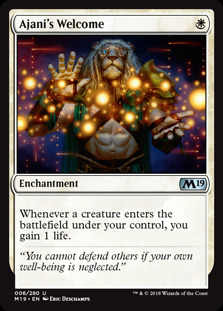 Flavor Text: "You cannot defend others if your own well-being is neglected."